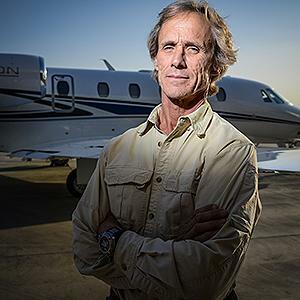 Mike Kennedy was born in February,in the late 1950s, in Canada, and is a reality television personality, stuntman, zoologist, and pilot, best known from being part of the Discovery Channel series “Airplane Repo”, in which he appears as a repossession agent. He is also known as “The Lone Wolf”, and all of his efforts have helped put his net worth to where it is today. How rich is Mike Kennedy? As of mid-2016, sources estimate a net worth that is at $2 million, mostly earned through a successful career on television, but also from his other endeavors, as he has been doing repo work for over 20 years. As he continues his career, it is expected that his wealth will increase. After studying zoology, Mike first came into the spotlight when he was cast in the show “Airplane Repo”, which saw its first episode air in 2011. Prior to the show, he’d been doing a number of activities in his life, aside from animals. After the first season, the program took on a two year hiatus before returning in 2013, since when the show has found significant success and Kennedy became one of the reasons for that achievement. He’s seen in the show repossessing airplanes, and the series also brings to light a bit about his personal life. He often works solo, but sometimes he is joined by a small crew with a lot of experience in the business. The three other men who usually appear on the show include Ken Cage, who’s known to have completed over 1,000 repossessions in his career. The other two are Danny Thompson – who used to be a bounty hunter turned mixed martial arts (MMA) fighter, and Kevin Lacey, who’s a young mechanic aspiring to become a pilot. All clearly support Kennedy in his work, which benefits his net worth considerably. Aside from repo work, Mike has found success in weapons trading, and dealing with exotic animals. He is also a charter pilot and finds work flying both celebrities and freight. Aside from these, he also does stunt work and helps with animal welfare. However most of his income comes from the success of his repossession business, which according to him has doubled in size and profit since “Airplane Repo” began. For his personal life, nothing about relationships is revealed to the media, however, it is known that Mike has taken in several alligators after doing a rescue job in Florida. He resides in Orlando, but spends a lot of time doing business on the road. He’s also fond of extreme sports though he mentions that there’s just not enough time to do everything that he wants. He’s also been in a lot of dangerous endeavors including handling exotic animals, drug lords, and delivering high valued weapons to the military. He has a personal website, kennedyinternational.net, and despite all of his road work, Mike tries to remain active and connect with his fans through social media. He has a Facebook page with over 8,000 likes and a regularly updated Twitter with over 5,000 followers. He also has an Instagram page with around 6,500 followers and it showcases a bit on his lifestyle.